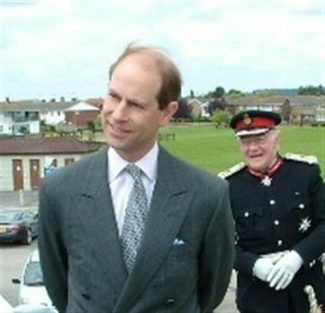 Canvey hosted Royalty when HRH The Earl of Wessex visited the Island. On Friday 13th June 2008, Prince Edward visited the Benfleet Flood Barrier in Ferry Road as part of his visit. He was given a tour of the Island in the morning and then enjoyed lunch at the Labworth Restaurant on Canvey seafront. The visit was hosted by the Lord Lieutenant of Essex, Lord Petre, and the lunch was hosted by the Mayor of Castle Point Borough Council. During the tour, His Royal Highness visited Canvey Junior School, the Dutch Cottage Museum, the Canvey flood defences and the boat builders TEC Marine Mouldings. 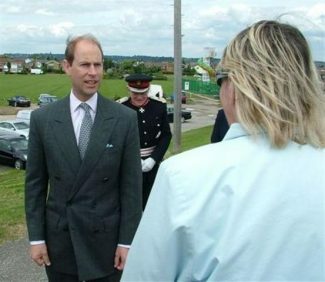 Prince Edward, said he had wanted to visit Canvey since he attended a ceremony in Chelmsford commemorating the 50th anniversary of the 1953 floods. His interest in the area began at the ceremony in Chelmsford Cathedral in January 2003 and happened almost by chance. 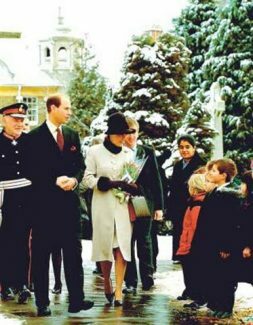 The Queen was due to attend the memorial service for the 58 people who died in the floods, but after hurting her foot was forced to pull out and sent her youngest son and his wife, The Countess of Wessex, instead.